The cleanse diet below is specifically designed as a natural and safe way to help you get the most out of your body cleanse detox plan, while avoiding common mistakes. In addition to its effectiveness, special consideration was given to the cleanse diet plan’s safety, simplicity and ease of use. So anyone anywhere can enjoy its benefits. This experts guide summarizes our experience working with hundreds of cleanse diet recipes, plans, and detox protocols. We hope this guide will help you enjoy the many benefits of natural body cleansing for great overall health while minimizing the risks. Before the cleanse to make sure you are prepared and avoid common mistakes. During to help support your cleansing and detox progress. After the cleanse is over to maintain the results. The cleanse diet plan is very simple and has only 3 steps. Notice that the last step is all about what you do after the cleanse diet is completed. Often overlooked, this is very important, as many of the benefits from the cleanse will continue days and even weeks after the cleanse is over. Removes accumulated waste buildup in the colon to optimize elimination of the toxins released during the cleanse diet. Prevent and minimize healing crisis crises and detox reaction during the cleanse. Day 1-7 What Should You Eat During A Cleanse? Evaluate how adding new foods make you feel. This is a great way to reveal potential sensitivities to foods that may not agree with your body. Your Medical History: if you have any health concern or taking any medication, we highly recommend that you should consult with your doctor before. Your Objectives: often overlooked, you may want to ask yourself why you want to cleanse, and what are you hoping to achieve. Just to make sure you choose the best body cleanse for your body and goals. What type of body cleanse do I need? As we mentioned above, the cleanse diet plan is designed to support most body cleanses. If you are not sure which body cleanse to do, or if this is your first time, the diet cleanse plan is great plan to start; safe, easy to use with very low prep needed. The most important step to do before starting any cleanse diet or body detox plan is to optimize your digestive tract and toxins elimination functions, to allow the toxins relesed during the cleanse to leave your body as quick as possible. This critical step is often overlooked, and is the main reason why many people report healing crises and detox reaction during their cleanse. It just takes the body too much time to eliminate these toxins. The longer these released toxins stay in your system, the more negative impact they may have on your body, causing many discomforts and in some cases even damage to vital organs. This is exactly what an oxygen colon cleanse (Oxy-Powder®) is designed to do. As its name suggests, oxygen colon cleanse releases oxygen in the entire digestive tract and intestines to soften and loosen dry hard waste buildup so it can be flushed out naturally by the body through normal bowel movements. Unlike laxatives and other herbal colon cleanse methods that can irritate your body or cause laxative dependency, oxygen colon cleanse works in a completely natural and safe way. It doesn’t force your body to make a bowel movement and simply helps release the waste that gets stuck to the colon wall. For this reason, oxygen colon cleanse is considered safer and more effective than fiber or herbal colon cleanse methods and is the preferred choice of many natural health practitioners before and during natural cleansing protocols. Did you know? In many cases, the weight of the waste buildup in the colon may be 10-20 pounds and sometimes even more. When the body gets rid of such a burden, it has more energy and resources to perform better and to actually heal other areas which were neglected before. It is best to start the colon cleanse during the first day of the cleanse diet, in the evening before bedtime. Expect the next day to have a series of bowel movements with many of the waste buildup, bloat, excess gas being eliminated. Most people feel a significant difference when these toxins are being flushed out. What Should You Eat During A Cleanse? Before we discuss what should you eat during a cleanse, it is much more important to cover what you should NOT eat or do during a cleanse. Hard to digest foods: the purpose of the cleanse is to eliminate toxins from your body as quick as possible. This means that you want to avoid hard to digest or slow digesting foods that their digestion takes a long time. 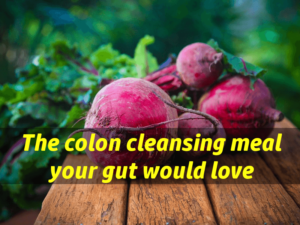 Another reason is that during the cleanse, you want to give your digestion a break. Digestion typically requires a lot of energy and resources. Foods to avoid during the cleanse diet: all processed foods, beans & legumes, dairy, gluten, grains and wheat. Foods that contain toxins: the main reason you want to avoid toxic foods or unhealthy foods during the cleanse diet is simple. You are trying to get rid of toxins. Introducing new toxins may not help your cleansing goals or the detox process. While this makes sense, it is often overlooked. Old habits sometimes are hard to change. Foods (and drinks) to avoid during the cleanse diet: alcohol, refined oils, refined sugars, processed carbs, meat, fish (mercury). Foods sensitivities: this one may be tricky since in many cases, you do not always know which foods you are sensitive to. This also applies to healthy foods. The same food that may benefit some people, can harm others. People bodies, digestion system tend to differ from each other. This is due to genetics, environmental diversity, and many other factors. To make this process simple, here is the list of the foods that may cause issues to some people. Considering that the cleanse diet takes 3-7 days, if you are unsure whether or not you may have food sensitivities, you can simply avoid these foods during the cleanse. Foods to avoid: common allergens (peanuts, soy, dairy, eggs, wheat, gluten and shellfish) and nightshade vegetables (ground cherries, tobacco, tomatillos, eggplants, potatoes, tomatoes, and peppers). Avoid overeating: the reason overeating is very problematic during the cleanse diet (and in general) is that it can make your body work very hard digesting the excess foods, causing stress and even damage to different systems and organs in your body. This applies to healthy foods as well. The more digestion effort, the less your body is free to focus on other areas in your body that may need to be healed. This goes above and beyond the cleanse diet. Overeating has been correlated to many modern medical conditions. If you constantly feel the need to eat, you may want to consider whether your food choices or diet plan is the right one for your body and lifestyle (e.g. high carbs, high protein, low carbs, etc). Emotional eating is also very common. We all are emotional eaters to some degree, the question as always is balance. Keep things simple: different foods may need totally different conditions in the stomach and the digestive tract in order to be properly digested. Eat the wrong foods together at the same time, and you may get a recipe for a complete digestion disaster. This applies to healthy foods as well. Food combination can sometimes be challenging. To make things simple, we already took this in consideration in our cleanse diet plan. Go Organic: to limit your exposure to chemicals during the cleanse diet such as herbicides, pesticide, GMOs and others, always consume your food from organic sources. The cleanse diet plan below is a 3-7 day protocol designed to help support most cleansing and detox plans, before, during and after the cleanse. The diet focuses on easy to digest foods and recipes known for their natural cleansing and detox properties. Special consideration was given for simplicity as well as for avoiding problematic foods and eating habits. When you wake up: Lemon water: squeeze the juice of ½ organic lemon into 16 ounces of spring or alkaline water. Add 1-2 teaspoons of organic raw unfiltered unpasteurized apple cider vinegar (optional), and you get one of the best detox drinks that can boost your body cleanse and detox plan. Always drink on an empty stomach; when you wake up and between meals if needed. When hungry during the day: eat ripe organic fresh fruits on an empty stomach, same type of fruit each time (don’t mix different type of fruits). See how different fruits made you feel in terms of taste, energy, mood and hunger. How much to eat? Start with small portions (20 grams of carbs) each time. Gradually increase the amount of fruits only if needed. Remember: the idea in the cleanse diet is not to eat until you are full, but to eat to satisfy your hunger. Between meals: drink spring water or the lemon water based on how you feel. Drinking enough between your meals can help to promote healthy toxins removal as well as help with hunger. In many cases when we feel hungry, we are actually thirsty! Evening: Detox Salad: choose soft raw leafy greens you enjoy such as romaine lettuce, spinach or others. Add 2-3 fresh cucumbers, 1 fresh ripe avocado, and 1 tablespoon of hemp seeds. Fruits sometimes get a bad reputation for causing many digestive issues. The main reasons are usually due to poor quality fruits or as a result of combining them with other foods. Think about bananas: green bananas (unripe) are known to cause constipation, yellow with little brown dots bananas (ripe) can actually relieve constipation. 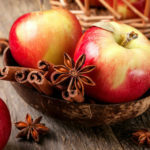 If you like apples and cinnamon, you will be happy to know this combination is ideal for the cleanse diet. Apples have been associated with a decreased risk of chronic diseases such as cardiovascular disease, cancer, and asthma (1). Cinnamon is known for supporting healthy blood sugar levels (2). Simply sprinkle ground cinnamon on fresh apples. Just watch the portion size and how your body responds. One medium apple can have up to 20 grams of sugars. Another cleanse diet staple – fresh ripe berries: strawberries, blueberries, raspberries, blackberries. They taste great, are relatively low in sugars and calories, easy to digest, and are very high in antioxidants and other health promoting nutrients. For these reasons, they are often recommended for overall good health with a very large number of studies suggesting their many health benefits. Another way to use berries is to combine them with soft greens such as lettuce to add natural sweetness to the greens. This can replace the detox salad during the evening if you feel the need for something sweet rather than a salty, fatty or nutty meal. As a reminder, food combination wise, if you decide to go with this option, do not add avocado, hemp seeds, lemon, apple cider vinegar or olive oil to the berries – greens salad. Dry berries such as goji berries or frozen berries are considered healthy, although they are not recommenced during the cleanse diet. Another cleanse diet staple that is also one of our most popular recipes, is the colon cleanse meal. The colon cleanse meal was developed to address a known problem with many cleansing and detox plans – hunger! That is exactly the purpose of the colon cleanse meal: a healthy detox cleansing salad that is also highly nutritious that will make you feel happy and satisfied. It is also very easy to make, tastes great and like all our recipes offers a safe and all natural gentle cleanse. So you are done with the cleanse diet and feel great,congrats! Often overlooked, what you do after the cleanse diet is very important, as many of the benefits from the cleanse will continue days and even weeks after the cleanse is over. We get many questions from people who enjoy the cleanse diet, especially how it made them feel, and would like to stay on it longer. The cleanse diet however, is not designed to be consumed on an ongoing basis, but only short term (3-7 days). Our recommendation is to gradually add more foods and evaluate how adding these foods made you feel. A lot of people are surprised to learn that the reason they have digestive issues or feel tired after eating is due to healthy foods they have been eating. broccoli, brussels sprouts, cabbage, and other vegetables (especially on their raw state) are often the cause. Beans, and legumes are also well known healthy foods that cause digestive issues. For more ideas of healthy foods you can include, see our recipes section. Many people find this protocol to be perfect on an ongoing basis as a 3 day cleanse diet during the weekend. When properly done, even a short 3 day cleanse diet can make a big difference in the way you feel and your overall health. Avoid hard to digest foods, allergens, meat, dairy a few days before you start your cleanse. See the foods to avoid for more details. Avoid overeating before the cleanse. Many people tend to eat more before the cleanse thinking that the cleanse will take care of the extra food. This is not recommended and can backfire. Focus on healthy foods and eating habits during the 5 days before the cleanse. Day 1-7: start with the initial 7 day detox cleanse. Day 8-14: gradually add more foods, see the after cleanse topic in the guide for the complete guidelines. Day 15-21: continue with the 7 day detox cleanse. Gradually add more foods for at least 4 weeks. During this time, you can still do the 3 day cleanse diet every other week, based on how you feel. What is the best detox drink to lose weight? The apple cider vinegar grapefruit weight loss drink is one of the best detox drink to lose weight that is all natural, safe and healthy. Unlike many diet pills and weight loss products that may be bad for your health, this drink can actually support good health and help you to detox and cleanse your body. See recipe. Speaking of weight loss, something you should know. As most fitness, natural health and weight loss authorities agree, healthy diet along with some exercise plan is the recommended approach. So combining natural detox and cleansing drinks as a part of a healthy weight loss plan is the way to go. Apple phytochemicals and their health benefits (1). Cinnamon use in type 2 diabetes: an updated systematic review and meta-analysis (2).